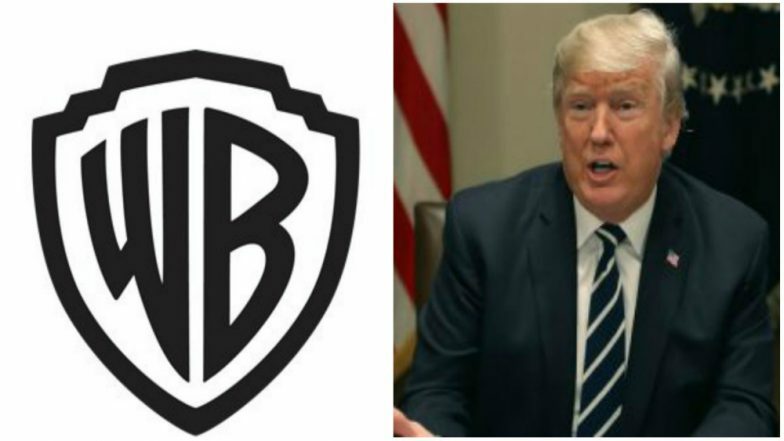 Washington, April 10: Hollywood studio Warner Bros. Pictures appears to have shut down a video posted on Twitter by US President Donald Trump, citing a copyright issue. The two-minute 2020 campaign video, set to the score from the 2012 blockbuster "The Dark Knight Rises", was unavailable on Tuesday night, just hours after Trump had posted it on Twitter, reports usatoday.com. US Presidential Elections 2020: Kamala Harris Calls for Funds to Hike Teachers' Pay. "The use of Warner Bros.' score from 'The Dark Knight Rises' in the campaign video was unauthorised. We are working through the appropriate legal channels to have it removed," a company spokesperson said in a statement. Messages in grey letters popped up across a pure black background. "First they ignore you," one reads. "Then they laugh at you". The last reads: "Then they call you racist". The video ended with messages stretched across the screen, saying "your vote proved them all wrong" and dubbed Trump's 2020 election "the great victory".